Who would have thought that Jason Statham would be an advocate for the Slow Movement? Yet, I was perusing Youtube the other day, watching TED talks and School of Life videos (is it procrastination when it is educational?) 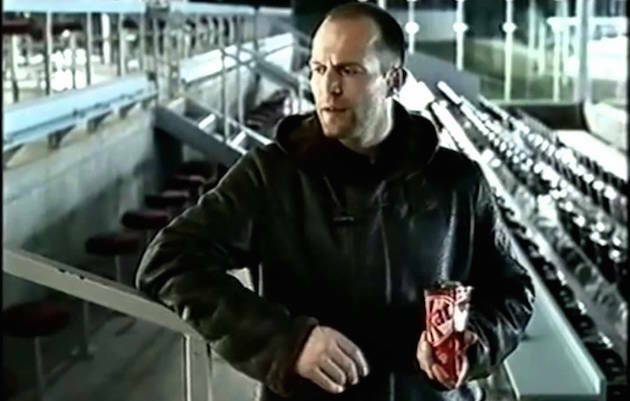 and I stumbled across these old adverts from 2003 where Jason Statham, before he became the massive A-list action star he is now, appeared in a series of Kit Kat adverts, espousing the Slow Life. Kit Kat, for those that don’t know, use the strap line “Have a break, have a Kit Kat” and therefore have always been the confectionary of choice for the Flaneur of Life (it’s just a shame Kit Kats are made by Nestle, a company with a less than stellar record on moral issues, what with the baby milk scandal and the bottled water scandal and a few others). In the first video he emphatically demonstrates that one should not work too hard and live a more idle life. Here Jason tells a story that I told in one of the very early entries on this site and an episode of Deckchair TV. And in this final video he provides overwhelming evidence (if any were needed) that being a Flaneur makes you live longer. I am quite a Jason Statham fan (my wife gets concerned…), so it is nice to find out that he is in fact an advocate for the Slow Philosophy. I am therefore adding Jason Statham to my growing Slow Hall of Fame, along with current members Barack Obama, Richard Curtis and Andrew Clover (that would make for one hell of a dinner party wouldn’t it? ).